As part of Premier Doug Ford’s recent free speech policy mandate, student groups and student unions of publicly funded universities and colleges in Ontario will need to create and follow a free speech policy or risk having their funding or recognition revoked. According to the mandate, schools must create a free speech policy that meets the government’s minimum standards by January 1. U of T’s policy on freedom of speech, which has been in effect since 1992, was endorsed by U of T President Meric Gertler in September in the wake of the provincial government’s announcement, but university administration is still waiting to receive specific details of the provincial legislation to see if the current policy needs to be altered. Joshua Grondin, Vice-President University Affairs of the University of Toronto Students’ Union (UTSU), is also monitoring the policy with the Office of the Vice-Provost Students to see what changes are made, if any. Starting in September, colleges and universities will need to report annually to the Higher Education Quality Council of Ontario, who will then evaluate each institution’s report and provide recommendations to the minister. If institutions do not comply with the free speech requirements, their operating grants may be reduced. “The Policy will not only protect free speech but ensure that hate speech, discrimination and other illegal forms of speech are not allowed on campus,” wrote Rea. How will student groups be affected? Student organizations are covered by U of T’s Policy on Open, Accessible and Democratic Autonomous Student Organizations. “That policy includes provisions such as a commitment to ensuring that members’ voices and perspectives can be heard,” said university spokesperson Elizabeth Church. “Student Organizations” include Student Societies and Campus Groups. 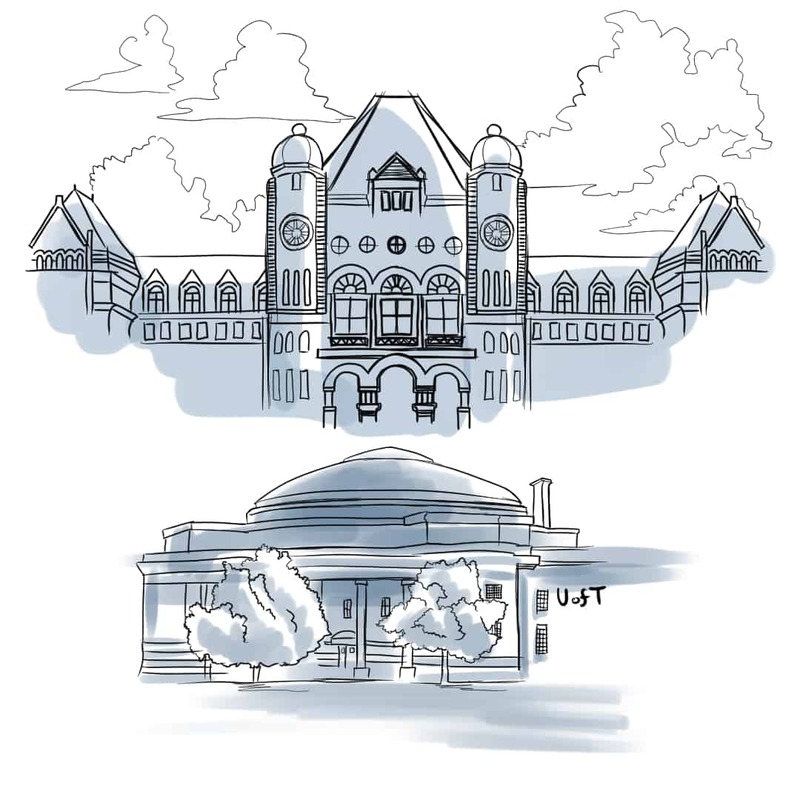 Student societies are defined by a compulsory non-academic incidental fee that U of T collects on their behalf and automatic membership upon registration and status in a particular division or program. There are two types of student societies: Representative Student Committees, which includes the University of Toronto Students’ Union, Association of Part-time Students, Scarborough Students’ Union, and University of Toronto Graduate Students’ Union; and Divisional and Faculty Student Societies, of which there are 38 in total, including the Arts and Science Students’ Union, the University of Toronto Mississauga Students’ Union, and The Varsity. Recognized campus groups are “voluntary organizations” created by members of the U of T community. There are over 1,100 campus groups recognized by the university. U of T’s policy on student organizations uses a complaints-based process. If complaints are brought against a student society for not following the free speech policy, and the matter cannot be resolved internally, it would then be brought to the Complaint and Resolution Council for Student Societies (CRCSS). The CRCSS Panel is composed of five voting members and one non-voting member. The voting members include a chair and four student members drawn from a pool of appointees from each student society. The CRCSS Panel would decide if any actions are required and if fees should be withheld. The vice-president and provost ultimately decides whether to withhold fees and, depending on the situation, has the power to take immediate action without the recommendation of the CRCSS. For recognized campus groups, the campus-specific Office of Student Life will look into complaints or charges against a campus organization after complaints have been made directly to the organization first. The complainants would appeal to the Office of the Vice-Provost Students. Recognition or room-booking privileges may be withdrawn from a campus group if complaints made against it are found to be valid. Groups may reapply for recognition any time after the following September 30. The motion was submitted by a member, and Grondin characterized it as “widely supported” by those in attendance. “I believe the union owes it to members to be political and take a stand when it is needed, and this justifies action in my opinion,” Grondin said.